Splash . . . hiss . . . ahhh! While I’m awaiting the Great Lakes winter to be over and the ferryboats to begin their treks to real islands in the spring, I’ve been searching for islands of delight right here in the metropolitan Detroit area. This month, I’ve found my way to a wonderful retreat from the winter cold and blues at just such an island. A few years ago, when both my daughters were home for the holidays, the four of us visited the Southfield Family Sauna & Tub, where for $35.00, we rented a stand-alone hot tub, just to talk and relax together for an hour. From that year, I have a wonderful holiday memory of just the four of us in a room alone for an hour, neck-deep in hot water, with no distractions, sharing stories of what was going on at college and at home. Starting the new year by trying to resolve some pinched nerve symptoms in my neck, I thought massage might be just the thing. I’d had wonderful deep massage from certified massage therapist Patrick Doig when he was the massage therapist at the South Oakland YMCA, seven or eight years ago. Massage therapist extraordinaire and owner of the Southfield Family Sauna and Tub since 2005, Patrick was just who I was looking for, and I was able to get on his busy schedule within a week of my call. When I called to make the appointment, Patrick mentioned that the dry heat from a sauna might help jumpstart the relaxation process. 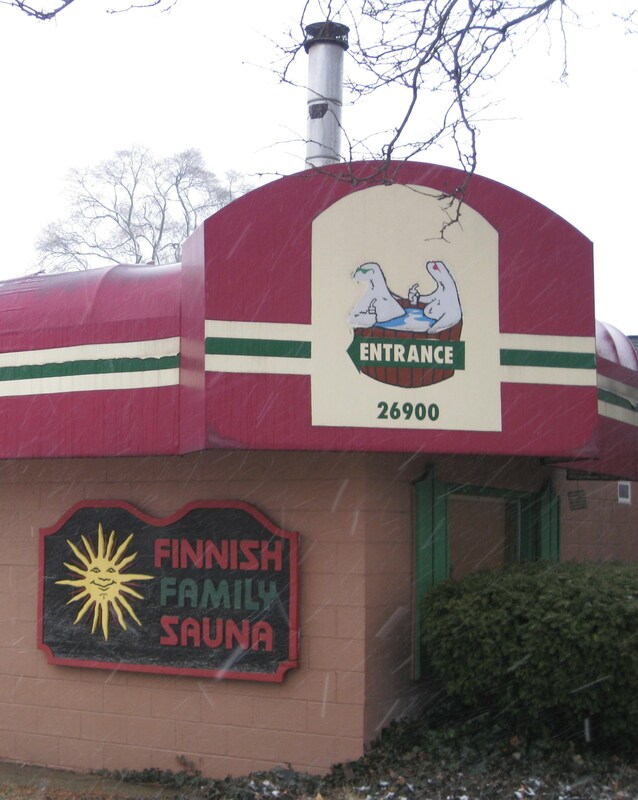 The saunas at Southfield Family Sauna and Tub are available on a walk-in basis. The day after I called to make my appointment, which happened to be a colder day than most have been this winter, my husband and I did just that: walked in. What a treat! Patrick has six saunas (proper Finnish pronunciation of the singular: “sow-na”). You can rent one for $14 an hour for one person, or $26 an hour for two people. Follow Patrick down a low-ceiled hallway—think cozy Hobbit house—passing a number of closed doors, to the one he has chosen and already prepared for you. Going through the outer door off the hallway leads you deeper into the warren, through your own changing room into a private shower room, where two buckets await: one to hold hot water for the rocks and one for cold in which you dip the washcloth you may want to drape over your head at some point. Or not. Tuesday 3:00 p.m. – 11:00 p.m.
Wednesday 12:00 p.m. – 11:00 p.m.
Thursday 3:00 p.m. – 11:00 p.m.
Friday 3:00 p.m. – 12:00 a.m.
Saturday 12:00 p.m. – 12:00 a.m.
Sunday 3:00 p.m. – 11:00 p.m.
Saunas are on a walk-in basis. Sauna/Tub (combo) or Tub (only) are by reservation. Massages are available by appointment. Patrick describes his place as “a space you can come to unplug from your everyday life.” I’d define that space as a winter escape to warmth, relaxation, peace . 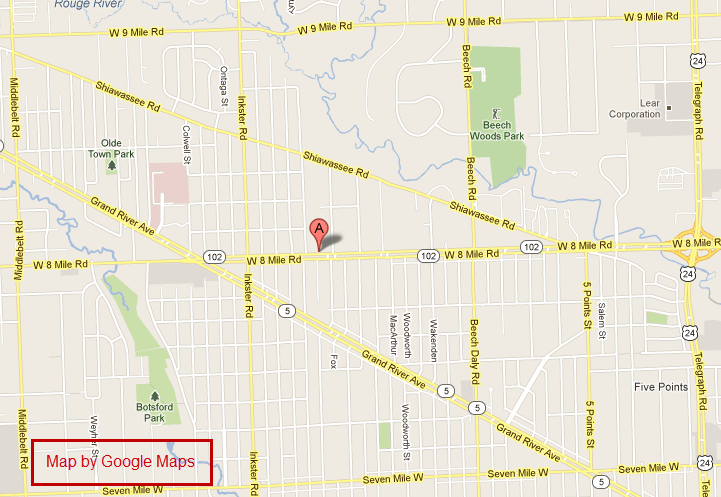 . . a perfect island on the mainland!